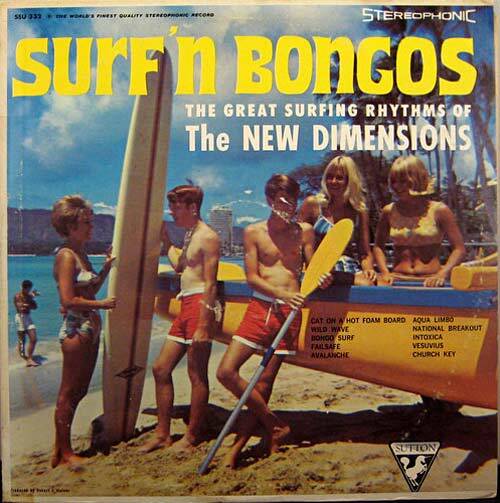 Your browser does not support the audio element! 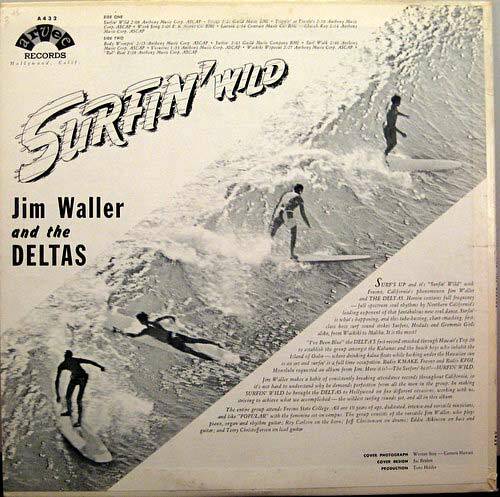 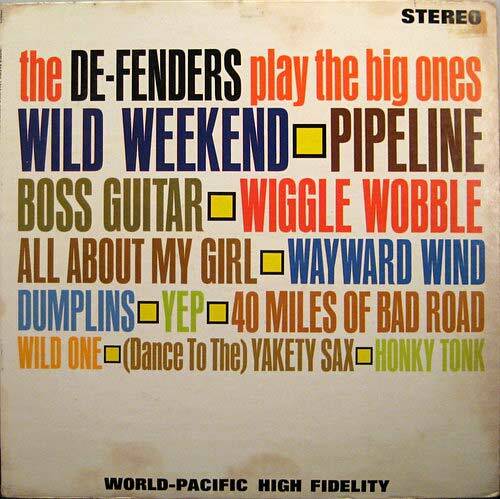 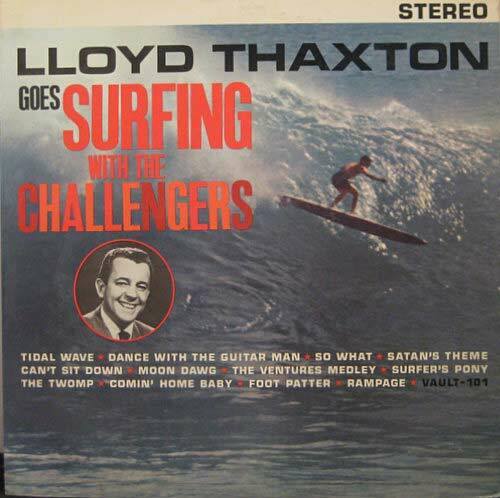 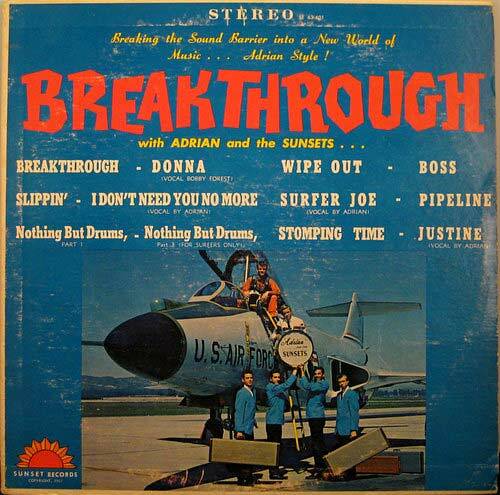 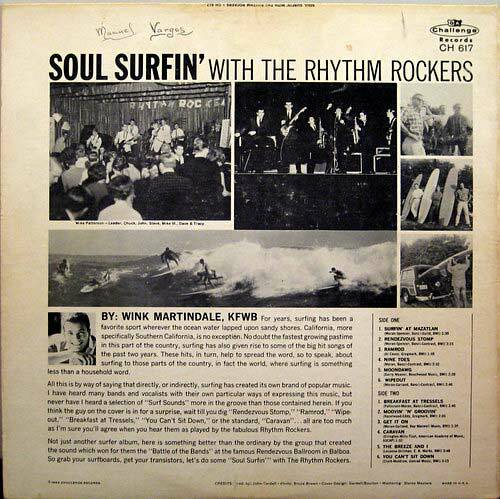 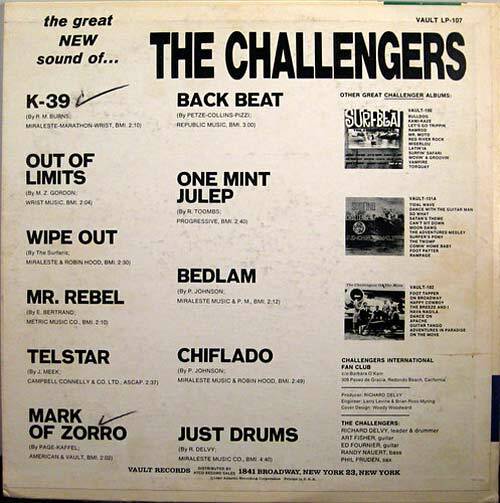 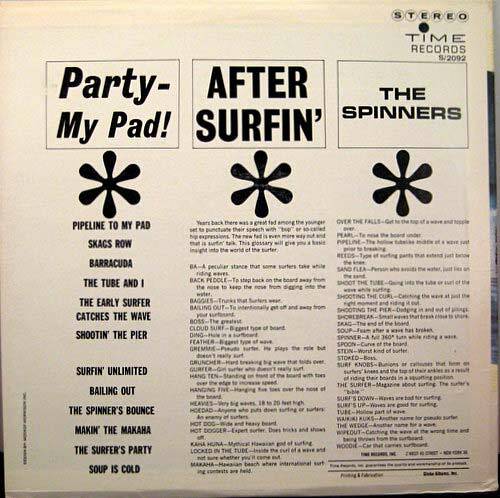 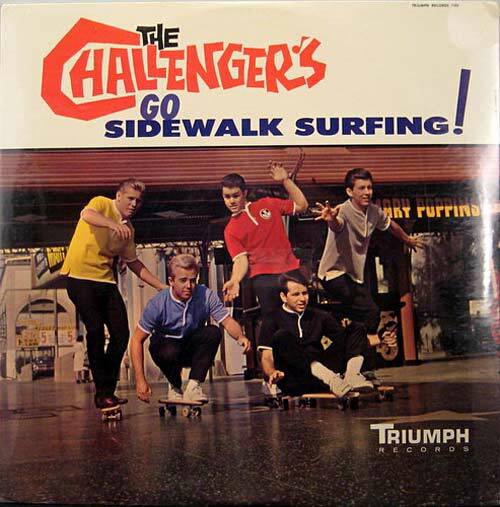 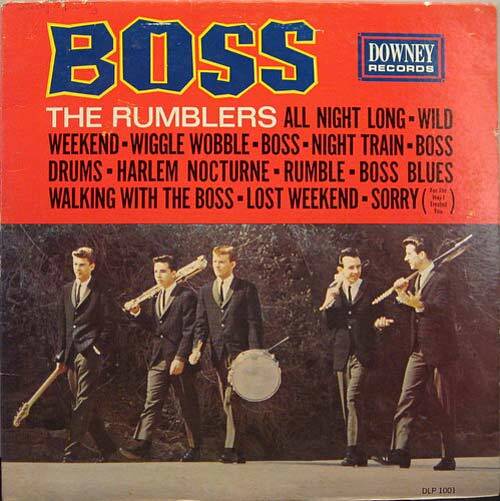 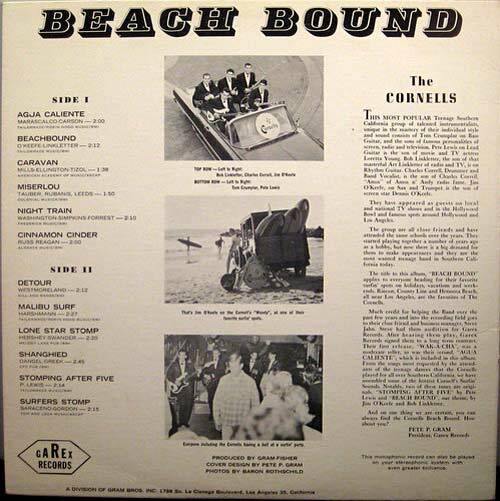 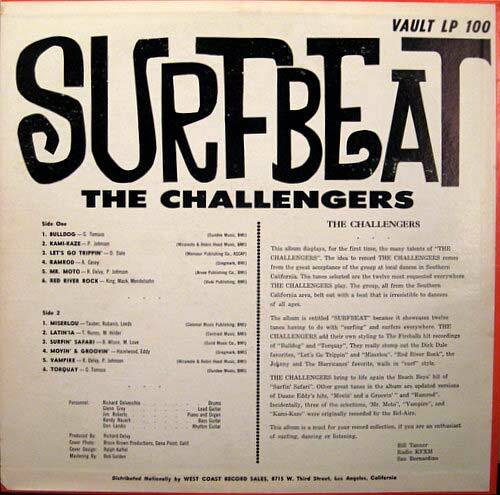 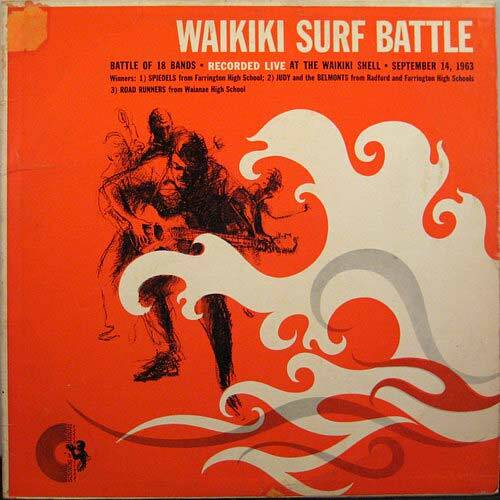 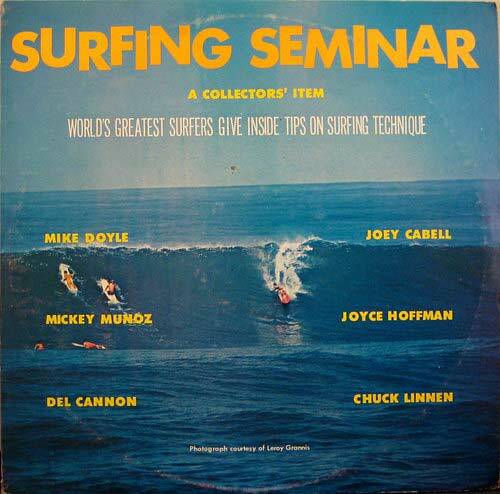 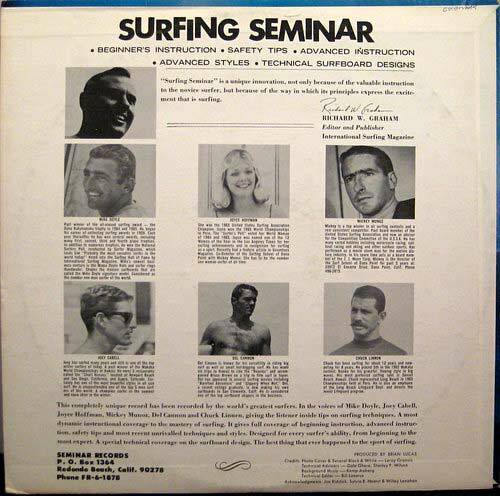 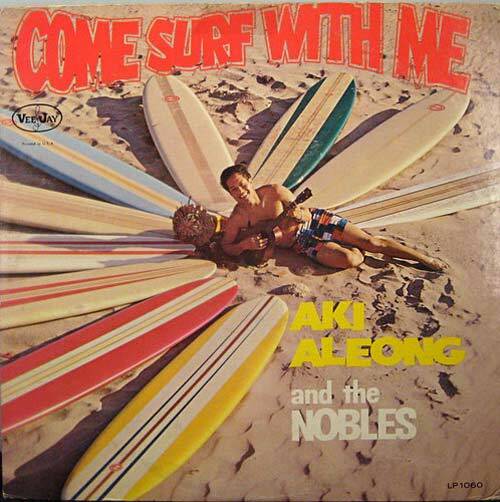 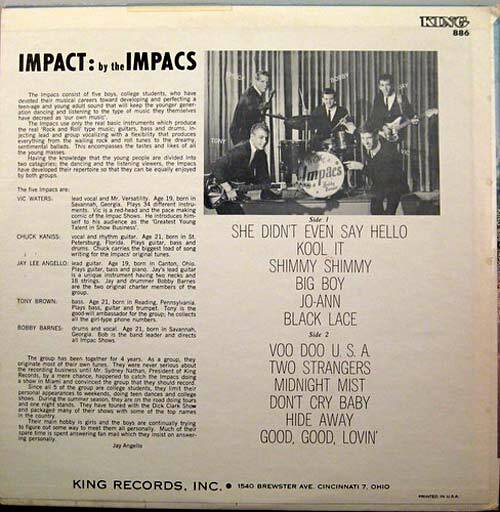 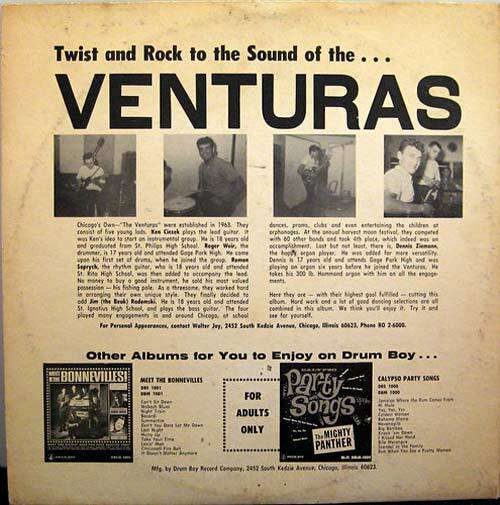 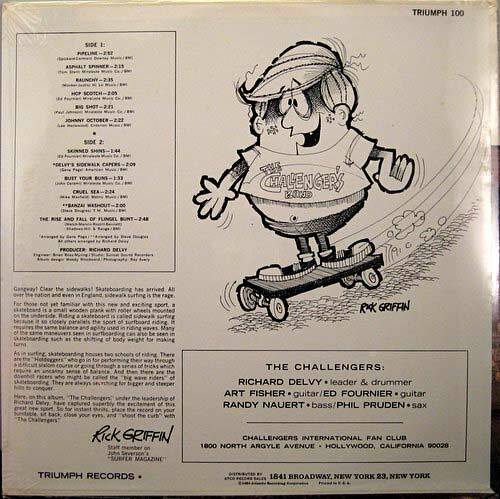 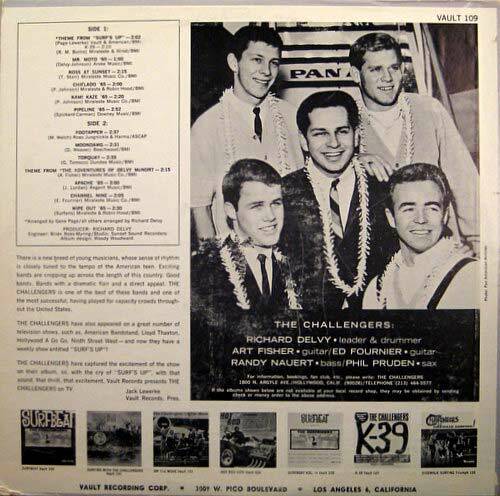 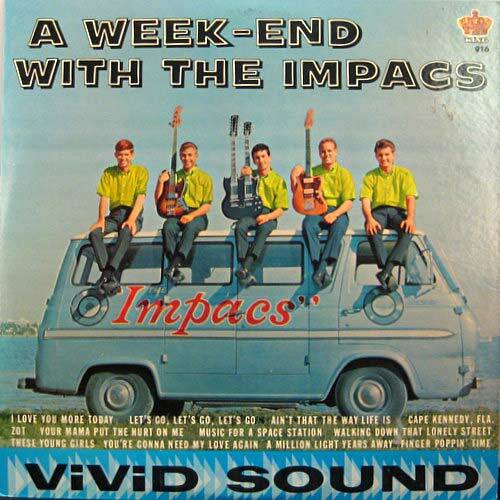 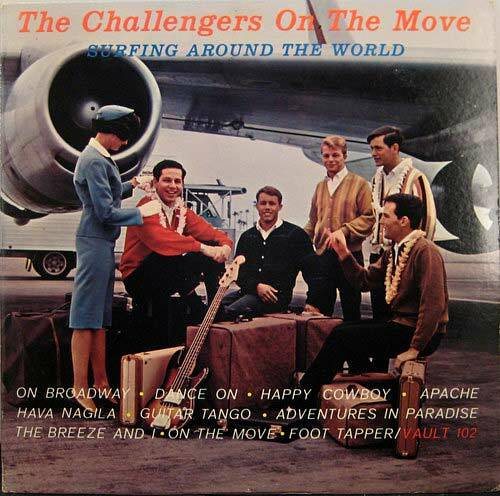 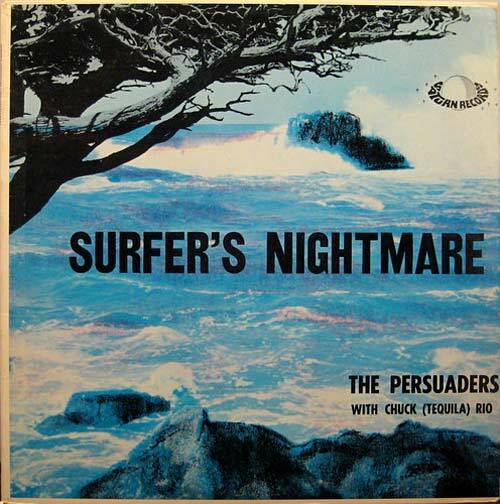 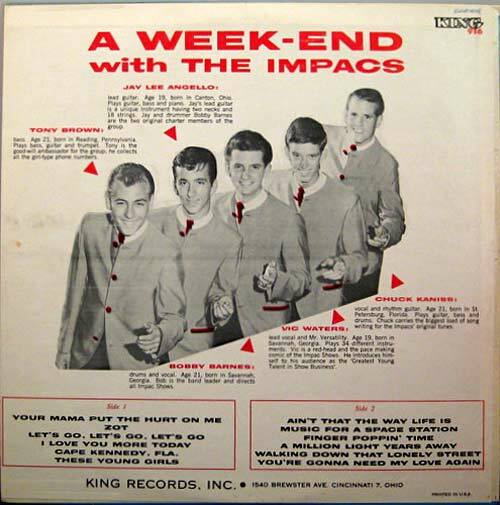 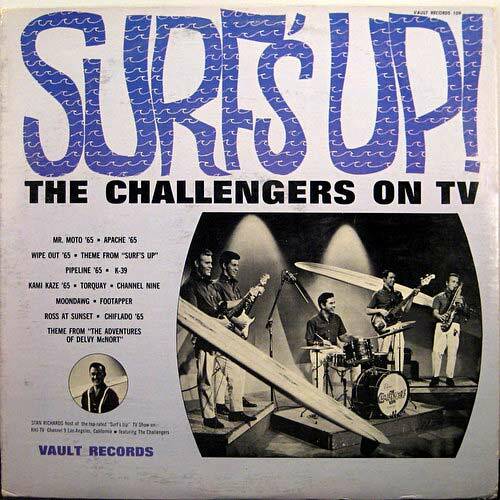 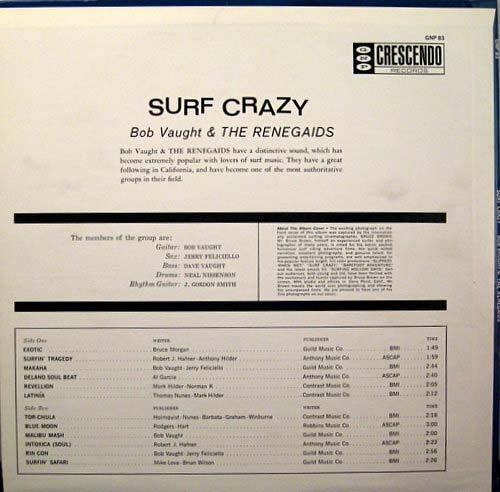 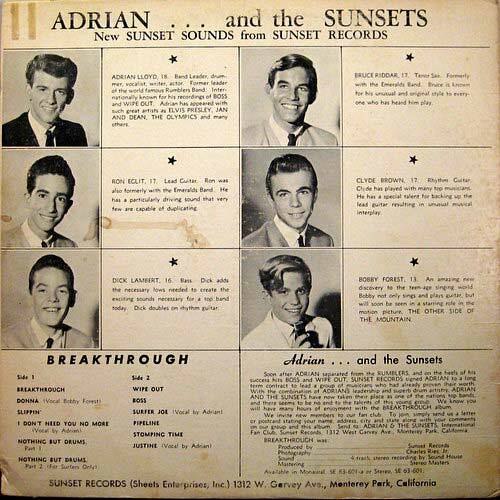 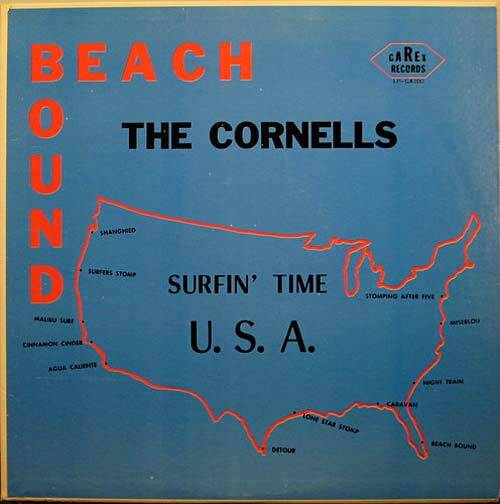 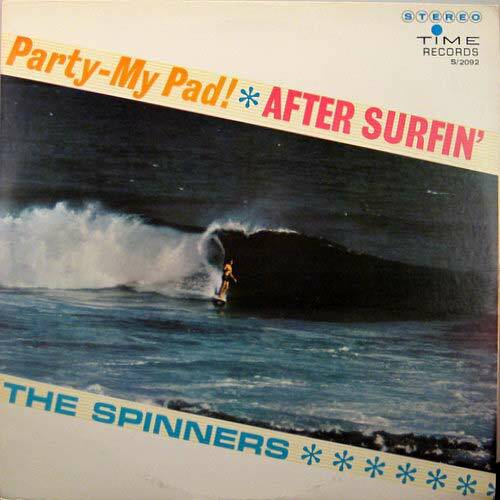 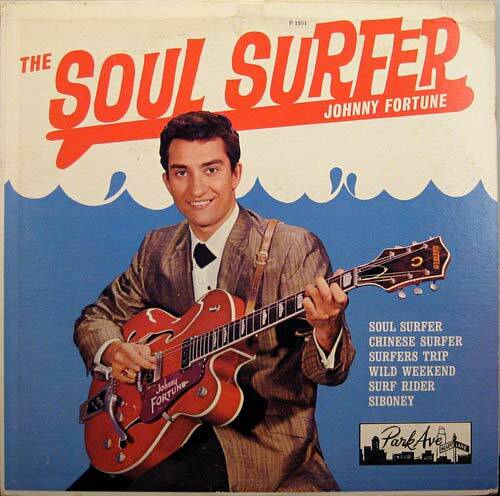 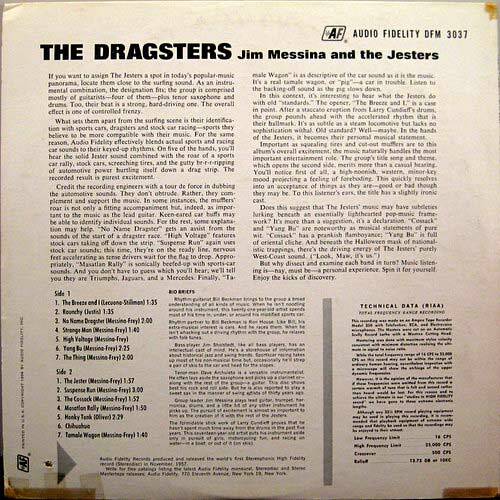 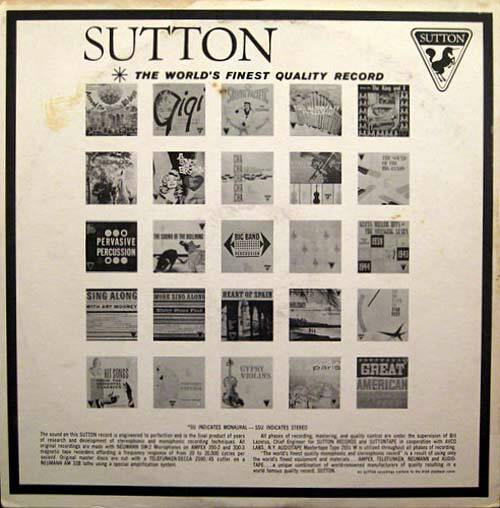 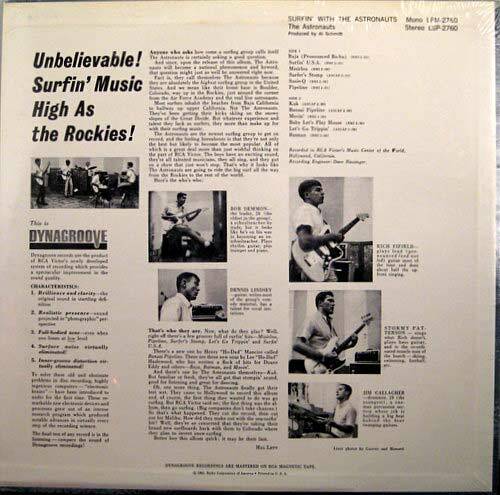 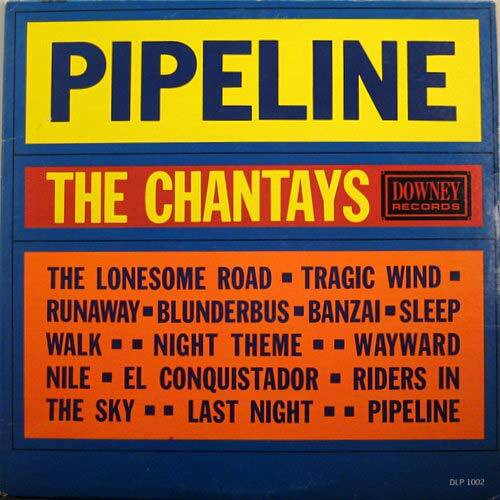 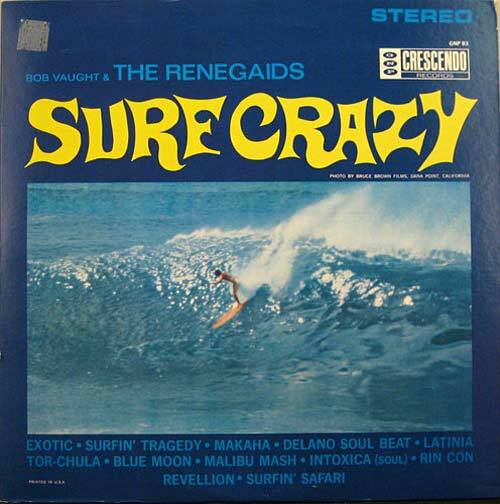 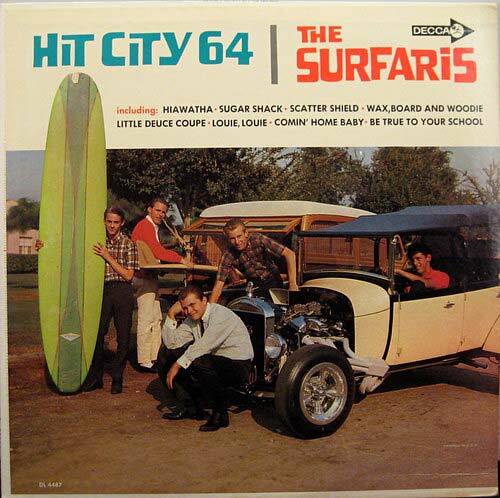 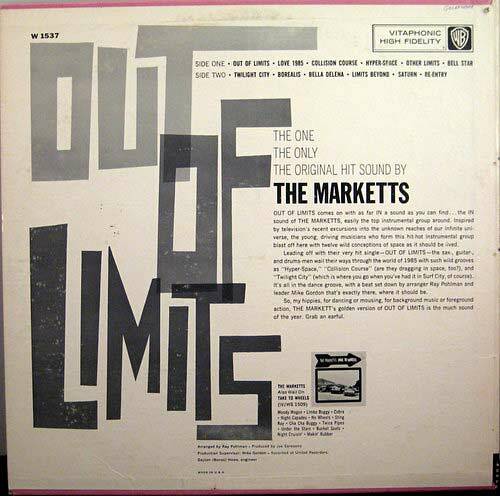 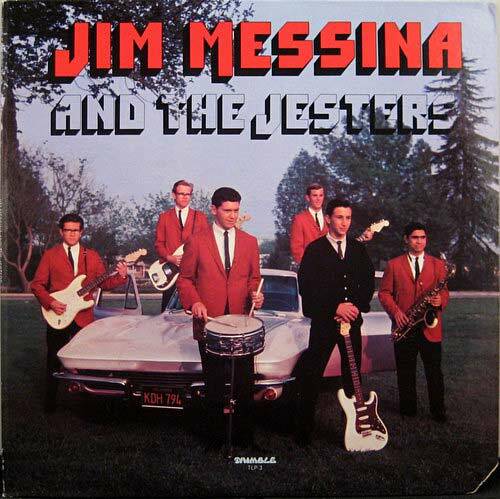 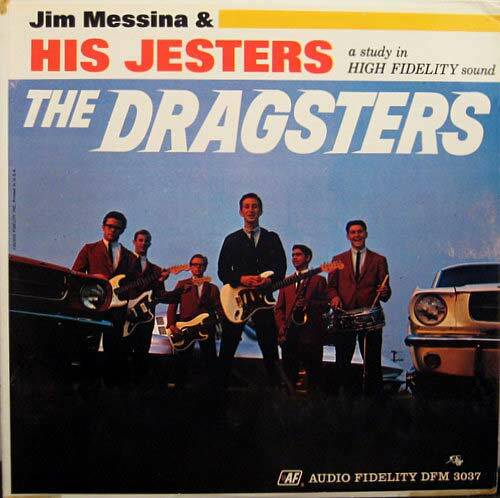 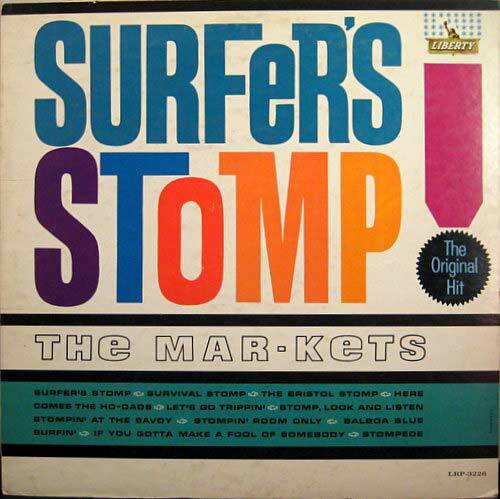 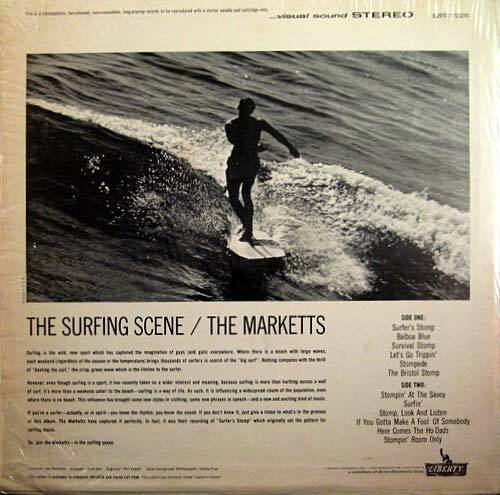 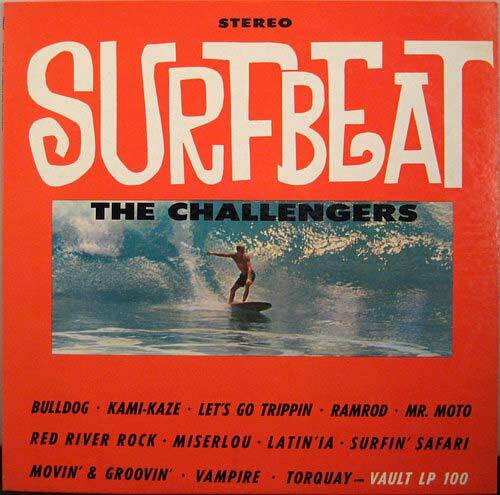 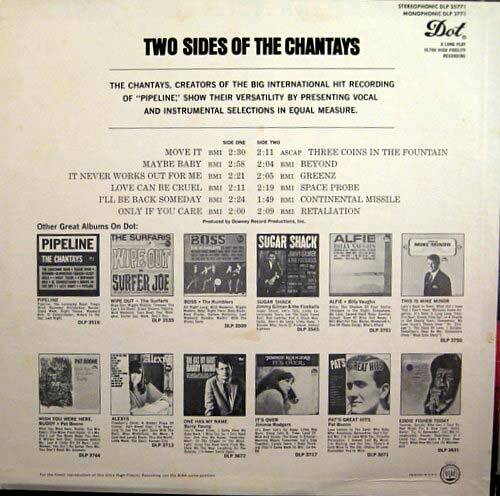 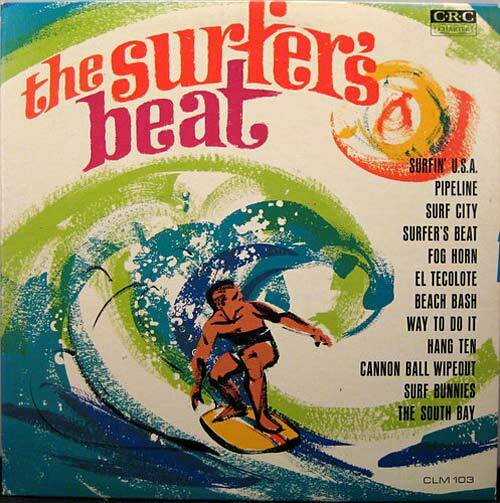 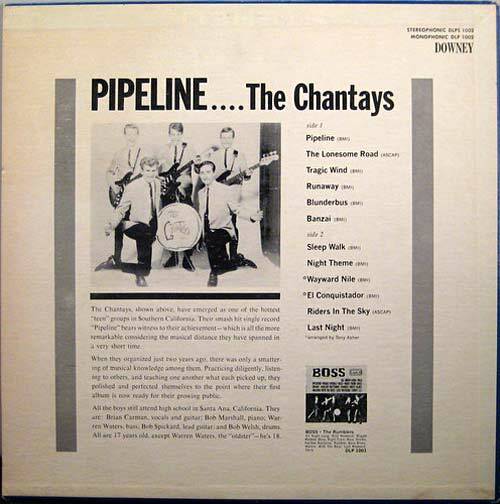 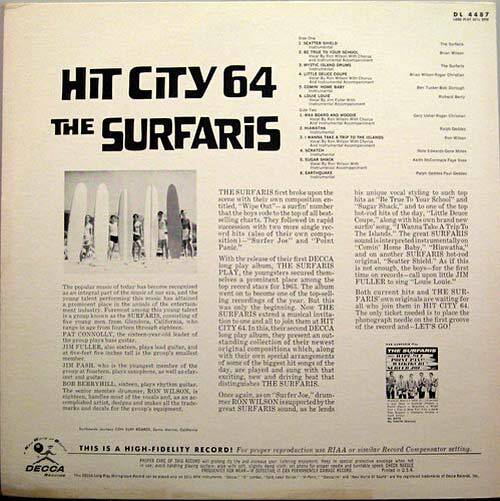 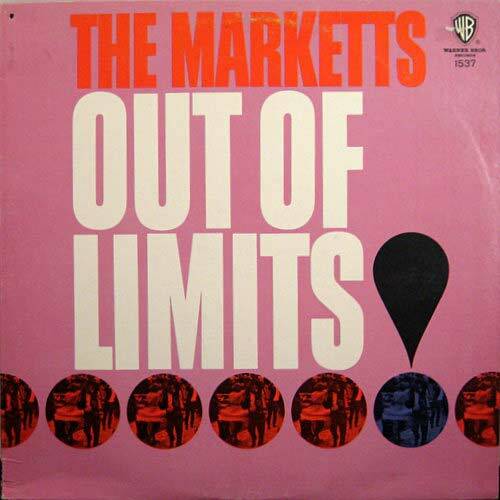 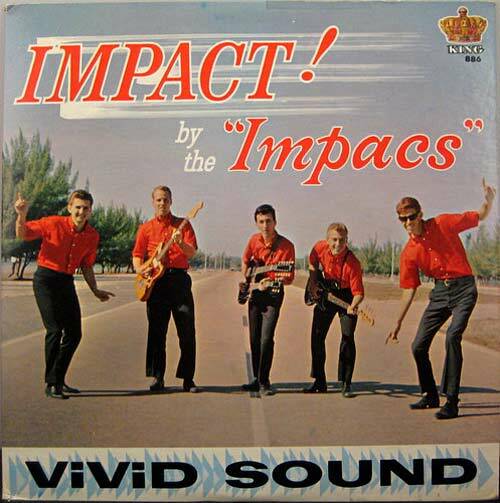 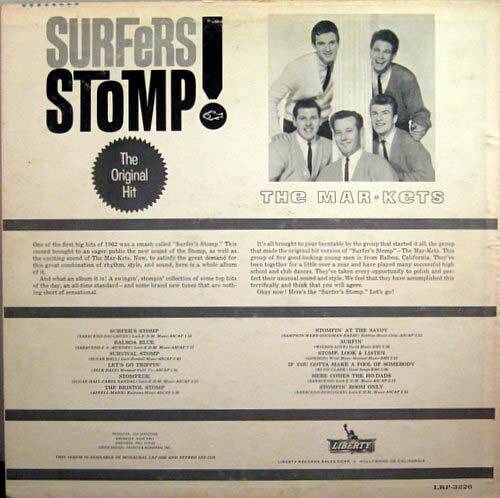 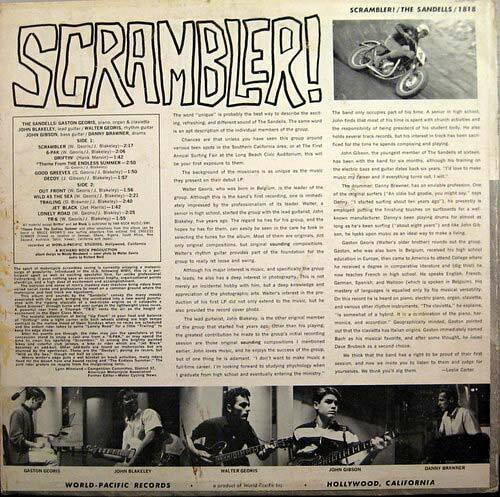 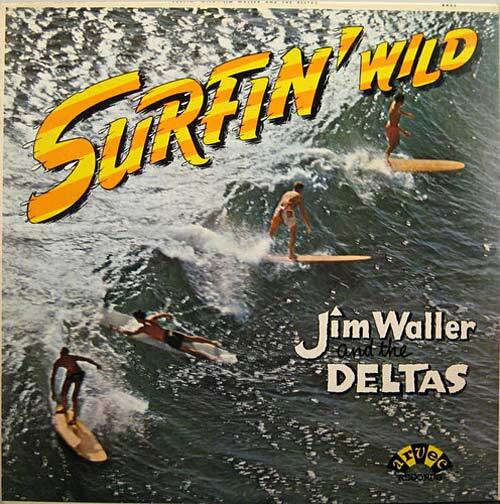 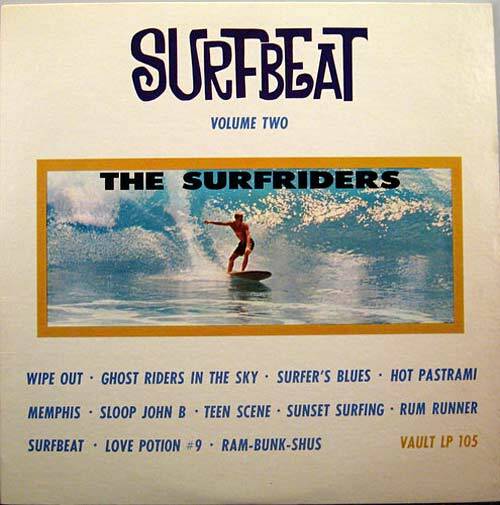 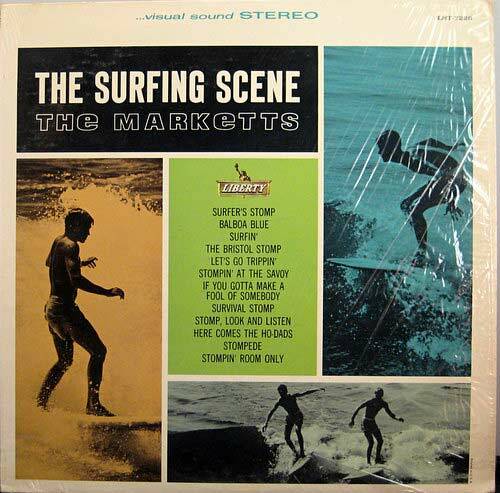 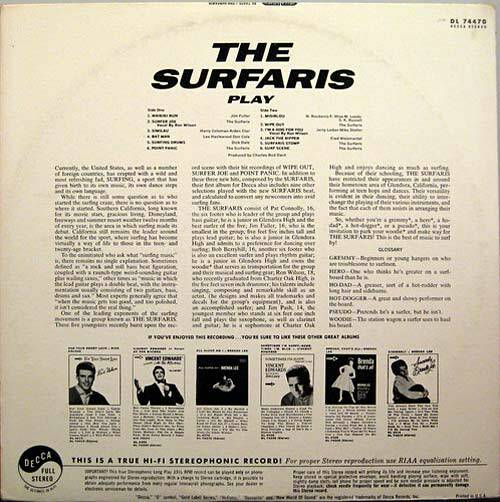 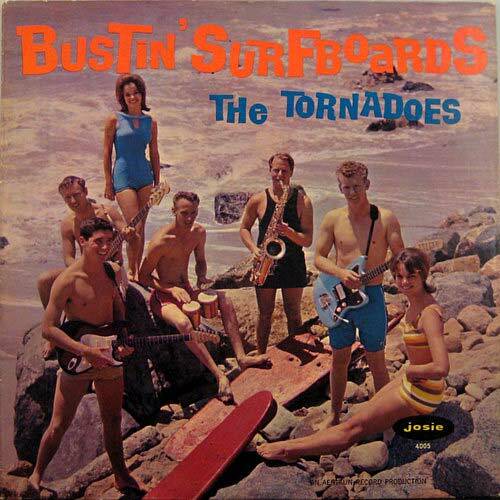 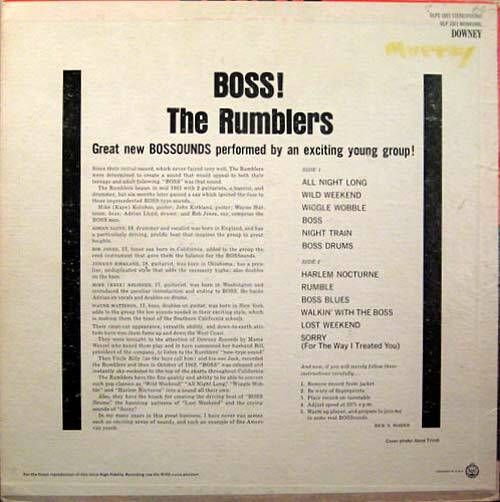 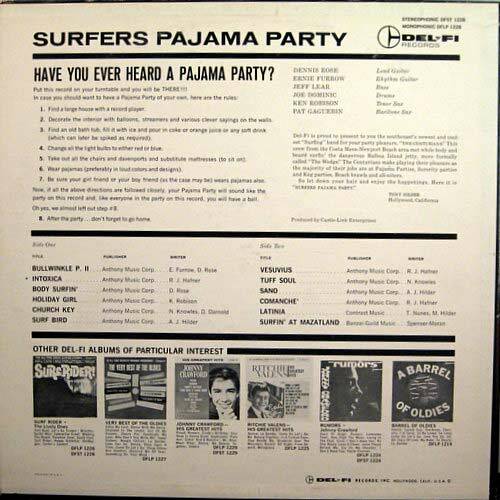 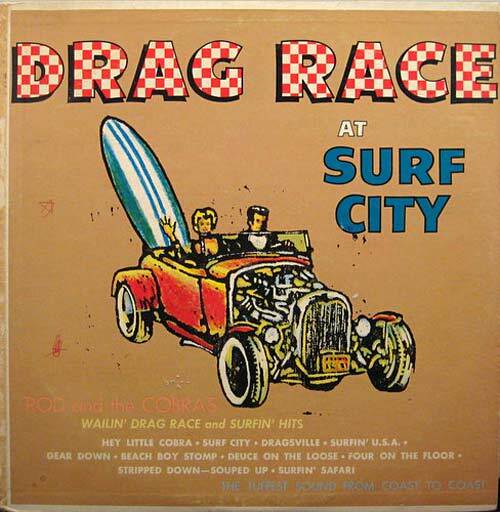 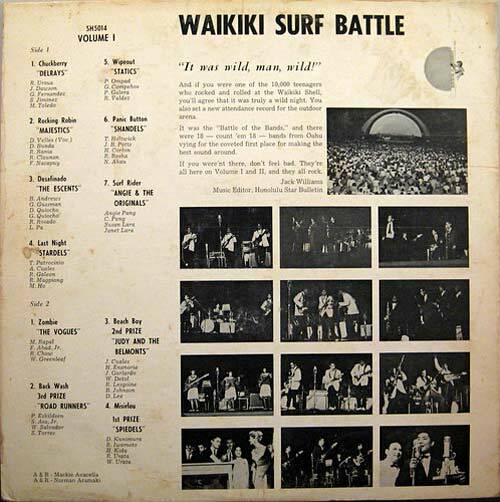 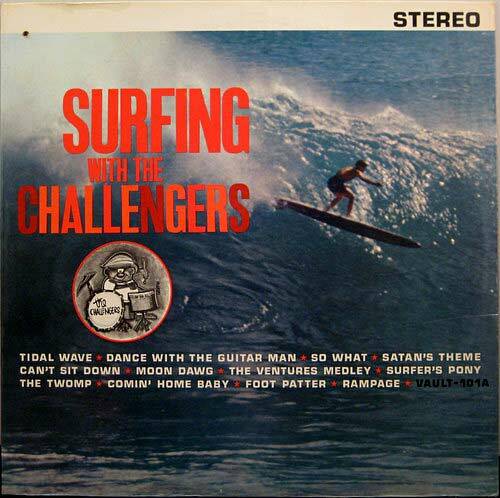 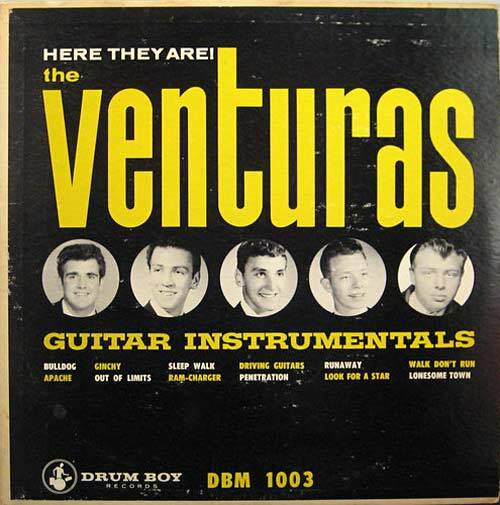 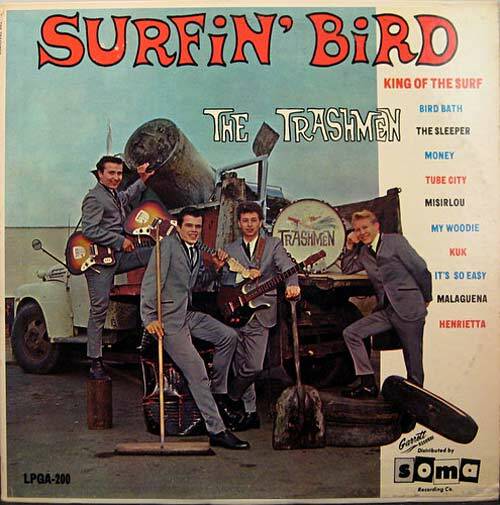 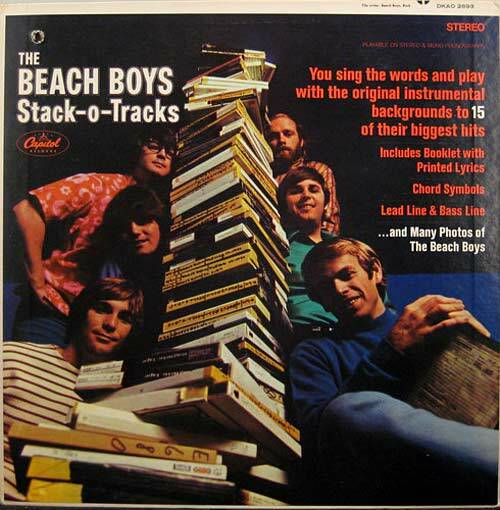 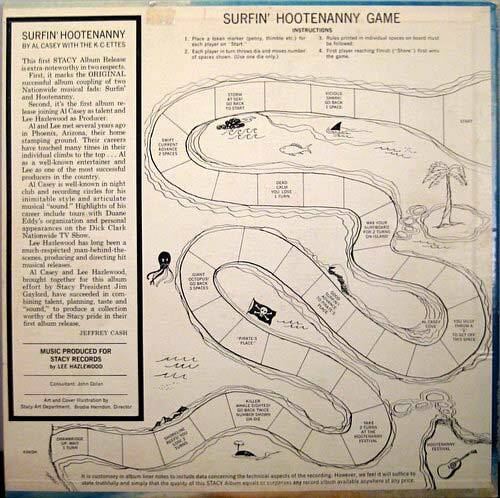 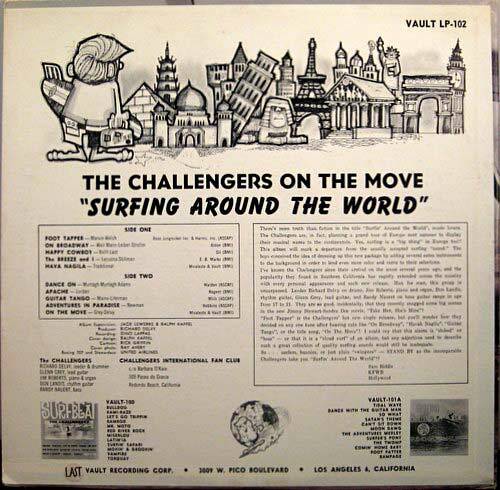 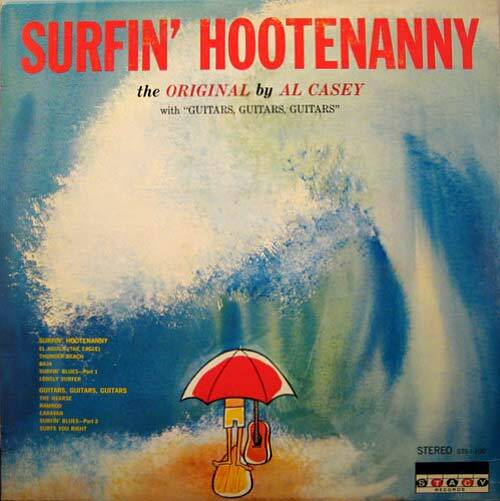 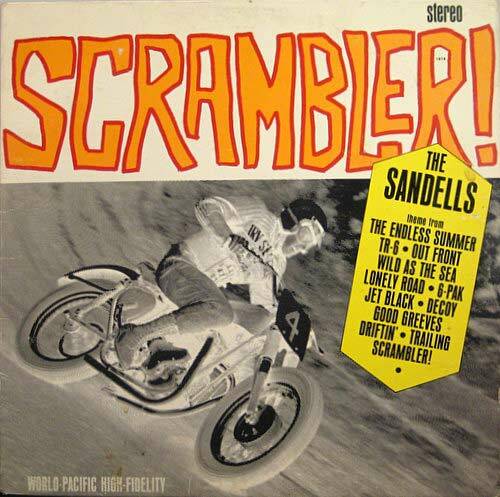 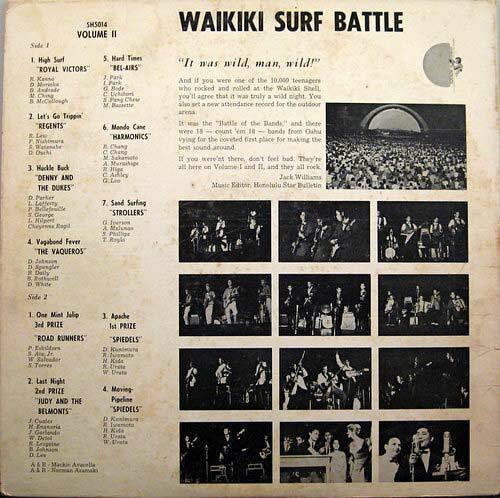 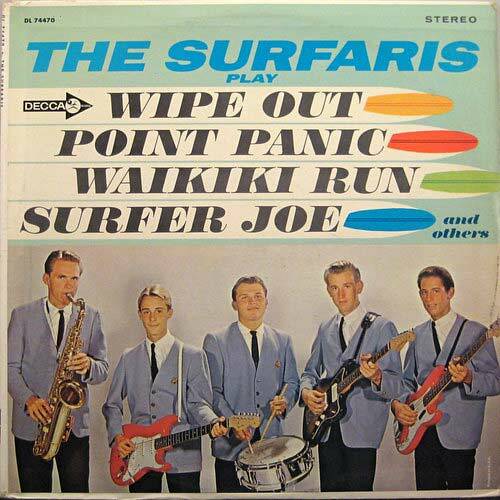 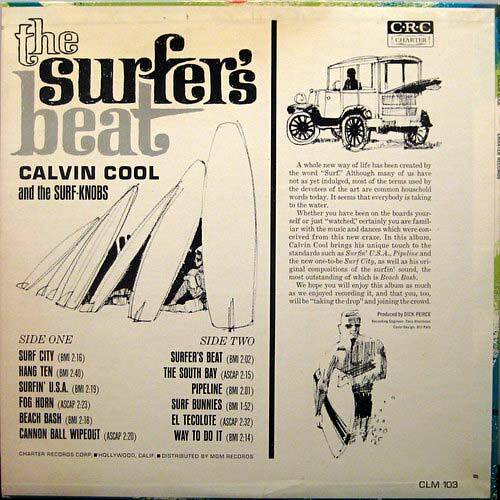 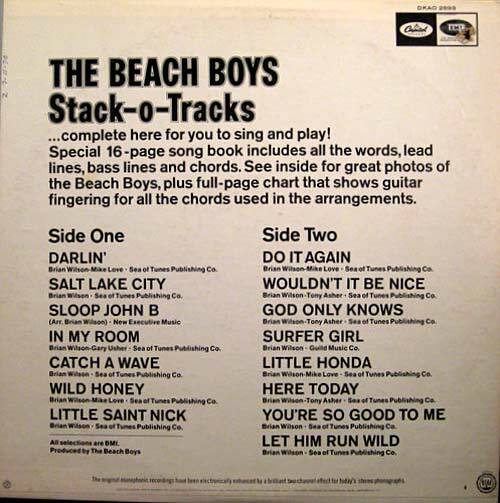 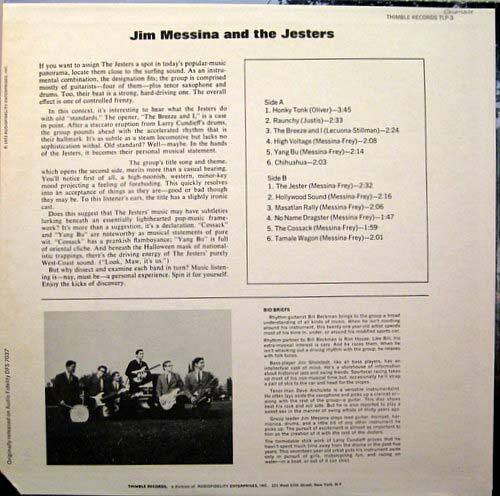 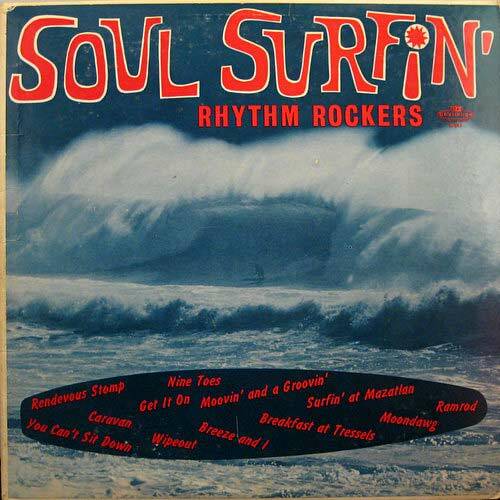 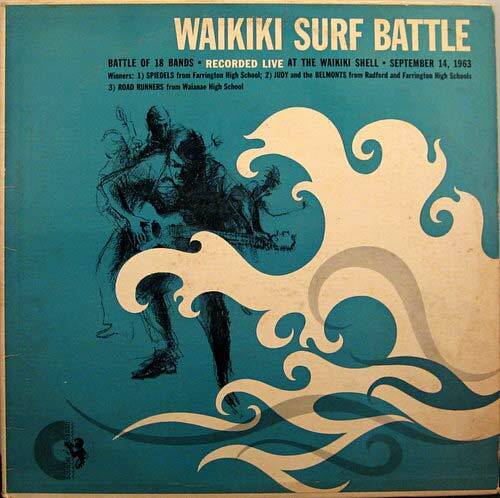 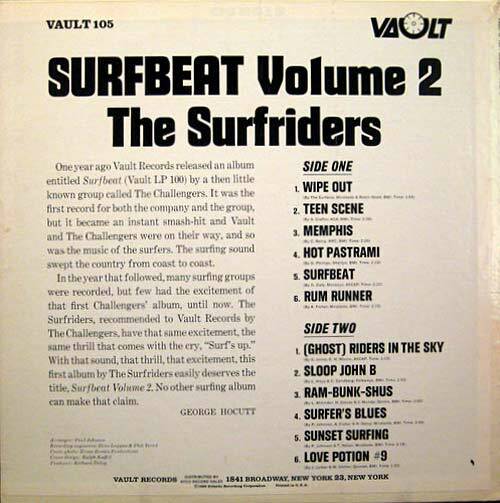 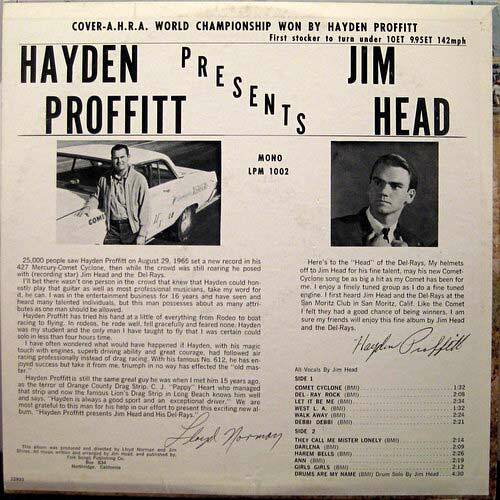 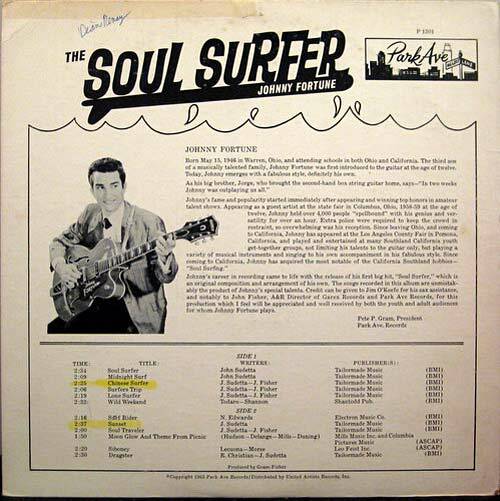 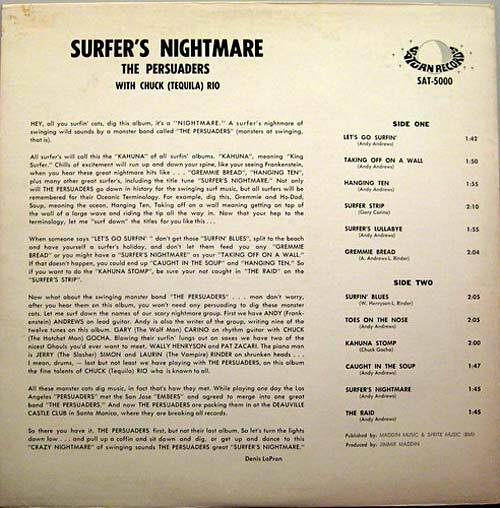 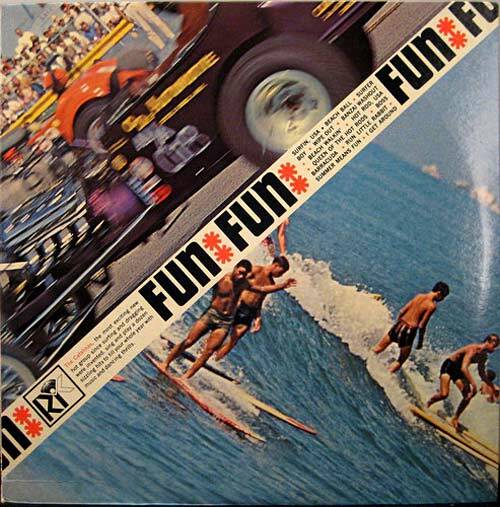 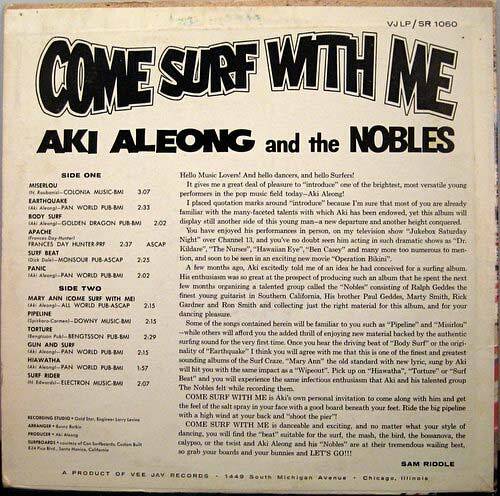 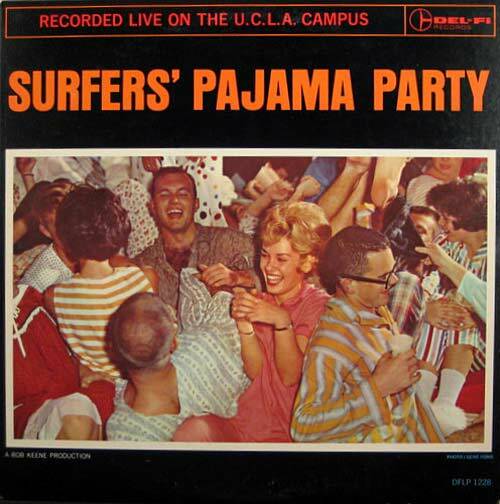 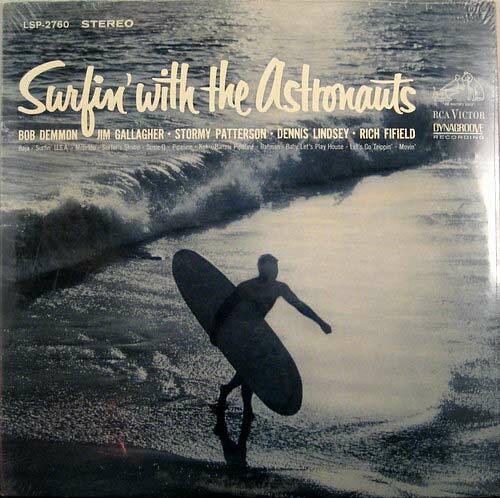 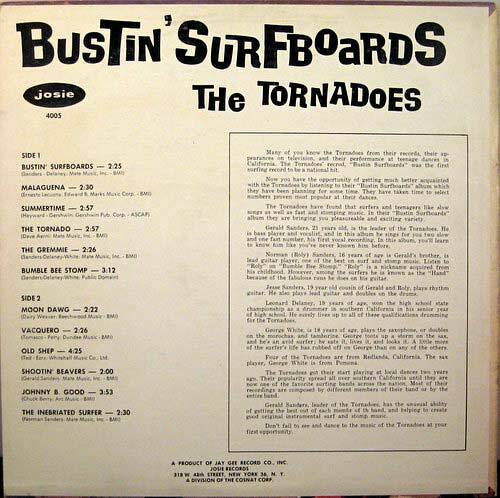 Here are some rare U.S. surf albums from the mid '60s. 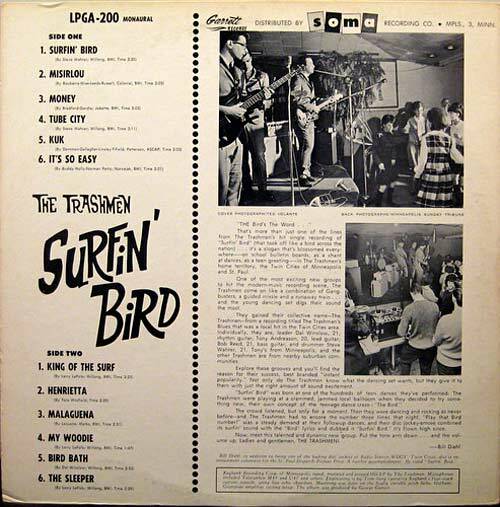 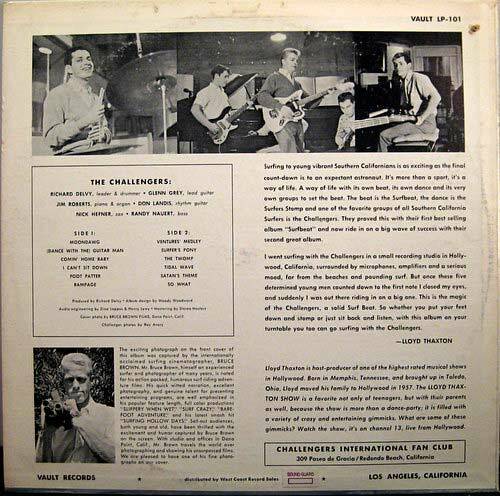 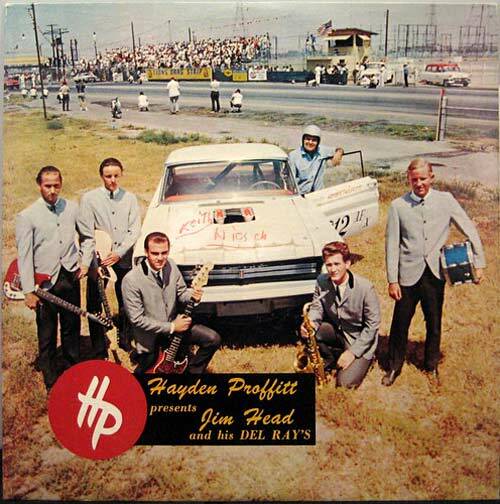 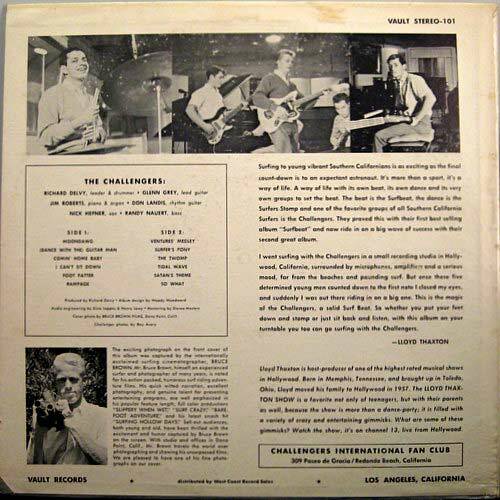 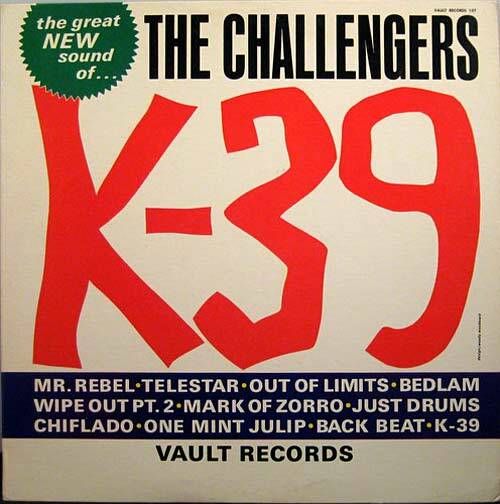 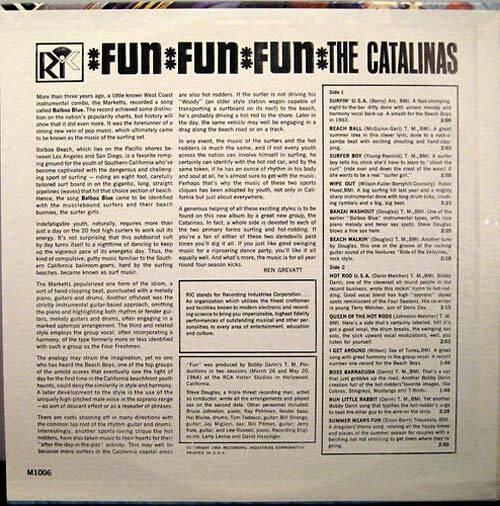 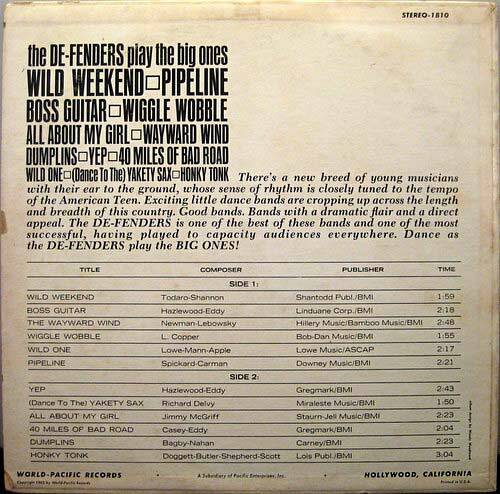 Although the music originated in Southern California, bands from all over the country rode the wave. 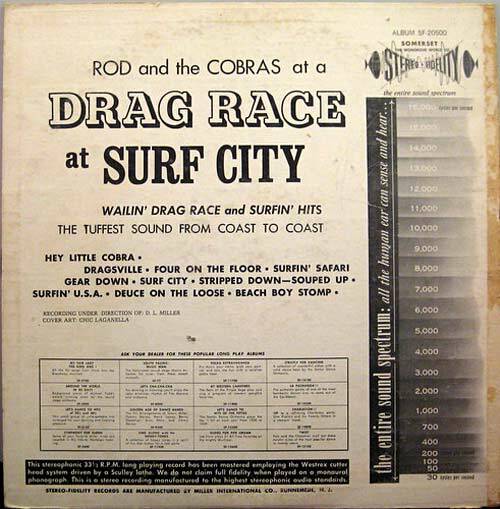 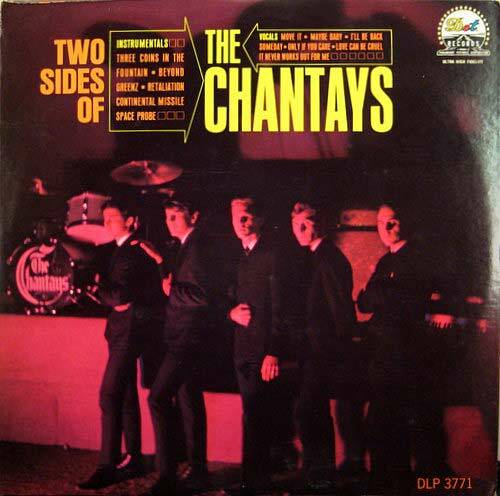 Also see these galleries: #21, #22, #23 Canadian Rock, #32 Justice, #34 Northwest Scene, #55 East Side L.A., #128 '60s Club and Frat Rock, #129 Garage Rock.